The brain fools us in many ways. When I enter the house from the sweltering heat outside, it feels cold even though it is 70 degrees. In winter it is quite the opposite. Even though your bedtime story is a bit different, I would not worry. Have a great day, Joan! Very amusing. But let’s get scientific about this. In the summer your core body temperature is elevated and needs to cool down. 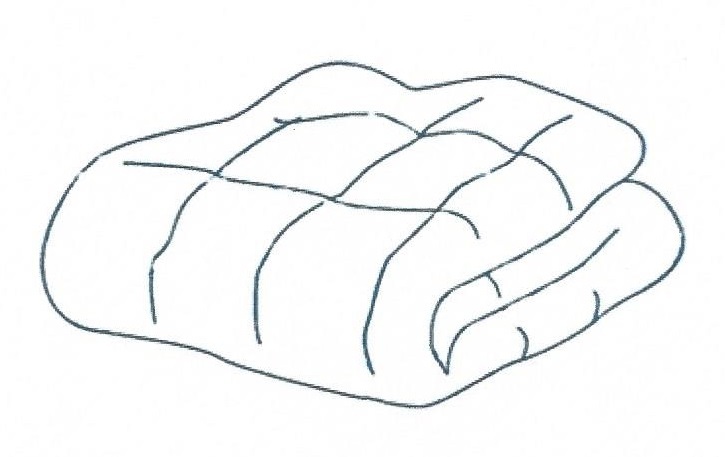 Hence, blankets are anathema. However in winter your core is depressed and needs to warm up. So without blankets you’re freezing. I couldn’t find a word that rhymes with anathema, but if you can maybe you can write a new poem. Where have you been? And please, no old timerus bull shiticus. Back up at my mom’s, my dad’s burial was last weekend (of his ashes, he was cremated). The muses haven’t felt like singing of late, so I took a summer vacation. Oh I see. My condolences concerning your dad. I get the sense you’re going to miss him quite a bit. Hmm. I never thought about it. Now I’m thinking of nothing else! Sorry, Muri, like when someone mentions a song and it gets stuck in your head?